It amazes me how our children pick up on things that are on our minds and hearts, without us even speaking them. Or maybe it’s just that I’m tying what they’re asking into what’s weighing on me. Either way, Cooter and I had some interesting conversation today, while he was trying to distract me from the fact he was NOT doing his math. Oh me. If only that were a thing of the past. What do I even do with that? I chickened out. A few minutes later, after he had sat daydreaming, he dropped the real bomb on me. Oh. Okay. I got this one. “Do you not believe in God?” I asked him. Then he asked me the biggest question of all. Oh, to think I thought I had this. As I thought back over his words and all I see and read and hear and thought about all of the brokenness, I think Cooter might have this exactly absolutely 100% right. 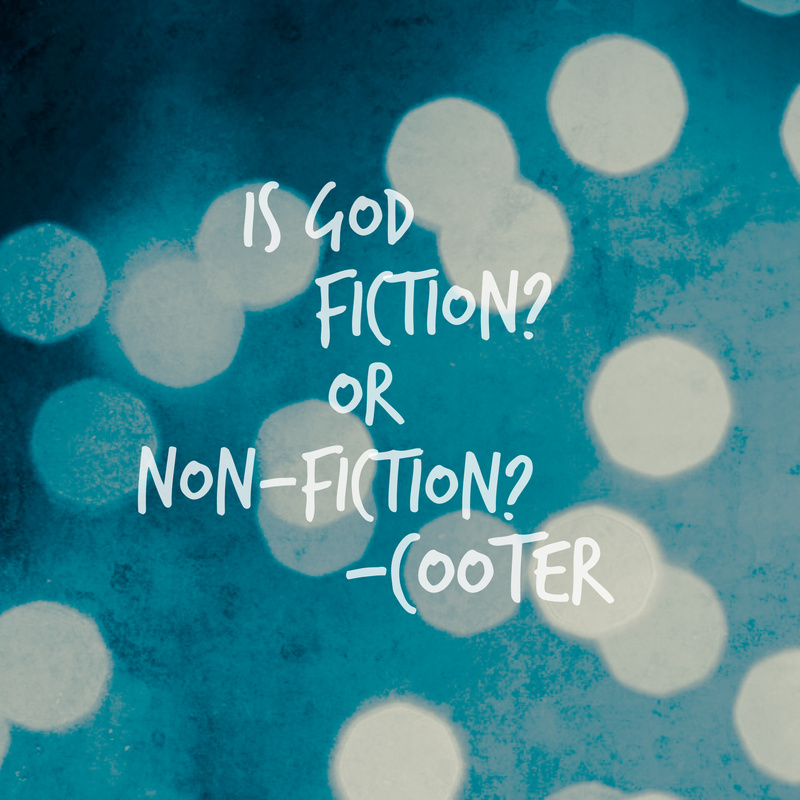 God, in our world today, is both fiction and non-fiction. We have this writing, these stories, these words–this truth–in the Good Book that tell us who God is. How God is. That God is. Then there are our hearts and our thoughts and what we say and what we do that tell a whole ‘nother story of what and who we think God is, but sometimes–much of the time–I think we might just be wayyyyyy off base. Just like I’m surprised by the deep thinkers my children are sometimes. One minute they’re arguing over who forgot to flush and the next minute we’re talking theology and philosophy and the ramifications of the death penalty. May today be a day of living the truth and not the stories that we tell ourselves to make things a little easier. It might be hard, but the little ones and the not so little ones–they are paying close attention and taking notes.